Netvue is an independent systems integrator, so we can supply products from any manufacturer or supplier. Netvue can source all the products and installation materials needed for your IPTV project. We carry out all the system installation work; from rooftop aerials and satellite dishes right through to the IPTV software for PC's and Macs. We have the expertise to help you choose the right solution for your business. As an independent system integrator Netvue can also supply equipment and software from other manufacturers, so feel free to contact us about any manufacturer's products. Netvue has been supplying IPTV streaming products since 2005 and one manufacturer has remained at the forefront of IPTV product development during that time:- Exterity. We started supplying Exterity products in 2005 because they had already established a good reputation and we found that they had an excellent roadmap for future product development. That is still the case, and in 2018 Exterity introduced 4K video encoders and decoders for IPTV, while lesser manufacturers were only just releasing HD IPTV products. Netvue is pleased to hold platinum partner status with Exterity and this reflects our great relationship with them, which in turn means we can offer excellent support to our clients with Exterity products. Of course, as an independent system integrator Netvue can also supply other manufacturers' products so feel free to contact us regardless of whether or not you have a preferred IPTV manufacturer. While there are a lot of manufacturers of Video on Demand software, many of these products are aimed at the consumer VOD market. 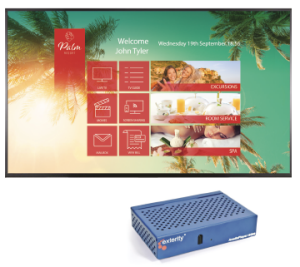 Netvue supplies Exterity's AvediaServer Video on Demand hardware and software products because these have been developed to integrate with IPTV systems in commercial network environments. For more information click on the Exterity link in the left menu and click on AvediaServer. Many businesses use WiFi networks, so there has always been interest in Wifi IPTV products. The trouble is that WiFi has inherent issues that make streaming reliable good quality moving video difficult. 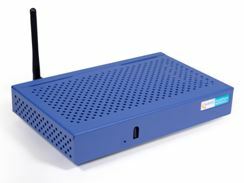 As technology has improved over the last decade manufacturers have slowly overcome the problems and we can now supply wireless IPTV products from Exterity and other manufacturers. Contact us for further information. We can also supply the Artio Multiview product from Exterity, which is part of their AvediaServer system.